As you are already aware, CBS will only be airing 7 of the 13 episodes from season one of THE BRIDGE. Below is the list of all 13 episodes in season one. 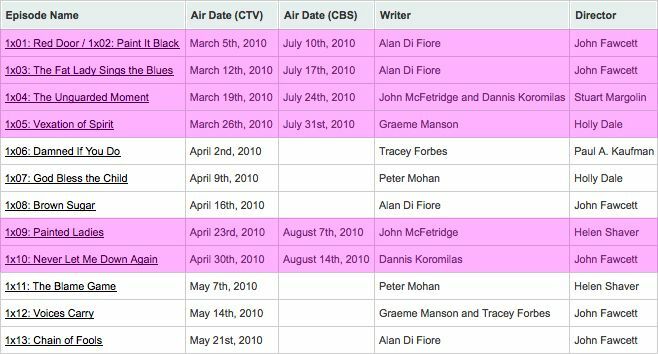 The episode names highlighted in pink are the 7 episodes that CBS will be airing.